Cortina d’Ampezzo is one of the most famous mountain tourist destinations in Italy. It is situated in the north east of the Veneto region, in the province of Belluno, about 72 kms from the city of Belluno. 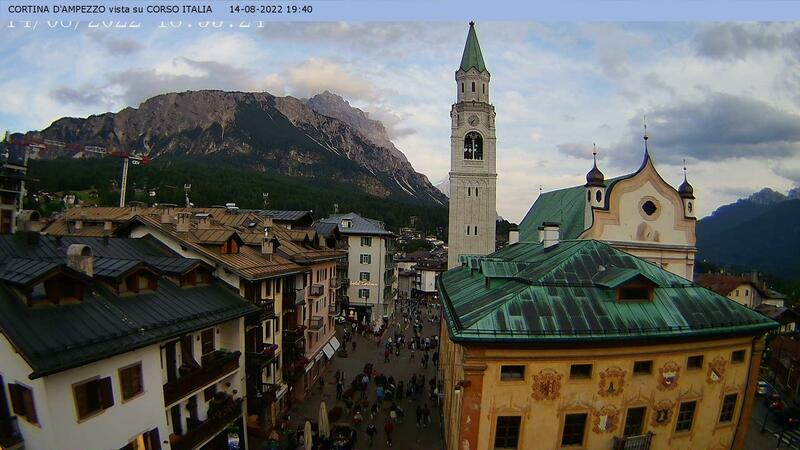 Cortina is very near Trentino-Alto Adige and only 44 kms from the Austrian border. A daily bus service and private shuttle buses travel from Venice airport to Cortina in a little less than two hours. The valley is suspended at an altitude of 1,224 metres and is immersed in the uniquely spectacular landscape of the Dolomite mountains which have been a World Heritage Site since 2009. This magnificent natural scenery is unparalleled. Its extraordinary position, cradled in an almost circular basin and bordered by four passes at the compass points, has for centuries made it a breathtaking stage from which to admire the famous mountains that crown it. The Ampezzo peaks, many of which surpass 3,000 metres, derive their peculiar beauty from their pallor. They are also softer and more monumental than other peaks so much so that they look as if they had been moulded architecturally. The Ampezzo valley is not only the queen of natural resources with an unparalleled appeal, it is also a sports destination known all over the world (the Olympics were held here in 1956) for what it offers and for the great events that have always been held here, first and foremost, La Sportiva Lavaredo Ultra Trail. Venice is the closest airport to Cortina. From the airport you can take some different transfer buses or private shuttles buses to Cortina. For fares and timetables please visit www.flixbus.it. Coming from the south: take the highway (Autostrada) A13 Bologna-Padova, then take the highway A13 Bologna-Padova, then the highway A4 Milano-Venezia and then A27 to Belluno. Take the exit Belluno and follow the SS 51 Alemagna direction Dobbiaco and Cortina. Coming from the north: take the highway A22 (Autostrada del Brennero) direction south, take the exit Bressanone, then follow direction Dobbiaco and Cortina.